Writing a blog post is much more than just dumping your brain onto your screen. 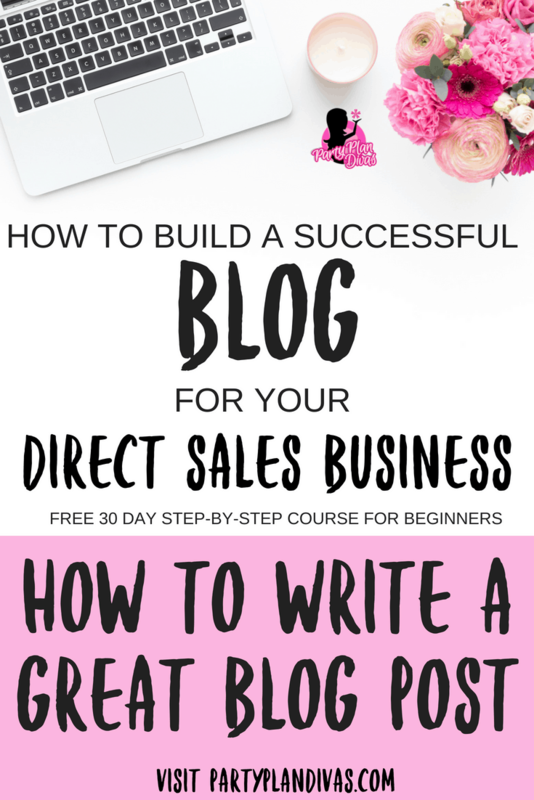 The Title, Topic, Excerpts, and Call To Action all play very important roles in the success of a blog post. Taking the TIME to really work on each post will not only make you a much better writer but will also increase the success of your blog. Let’s look at a few key “ingredients” needed for a great blog post. Having a great title is important to SEO, but it is also important for “organic” traffic – traffic from search engines. You want to make sure your title is catchy, but also specific and inclusive of the main point of your post. The first line of your post needs to draw your reader into the rest of your post. It is the “first impression” the reader has, and it has been proven that very few readers make it past the first line or two of a blog post before moving on to something else. For SEO purposes, a great blog post should be no less than 500 words. That being said, you need to keep the purpose of the post throughout those 500 words. A post with no real direction can easily confuse and turn off a reader. You want to have some depth to your post, but make sure that anyone reading it can understand your point, and gain something from it – whether it is a new technique, idea, or makes her laugh. Images help to tell the story – so make sure you use a lot of bright, clear images within your post. We will be diving deeper into Search Engine Optimization soon, but make sure your images are properly named using the topic or keyword for your post. Also, do not be afraid to use large images – remember that since many of your readers will be on a mobile device “large” is quite relative. Ending your post with a Call To Action will greatly increase your reader interaction, thus helping you to begin building a relationship with your reader. A Call To Action simply asks or suggests your readers do something – leave a comment, subscribe to your feed, shop now, Like your Facebook Page, etc. Make sure the action is simple and achievable by your reader. Your Call to Action can also be beneficial to your reader. For instance “Like our Facebook Page for upcoming Giveaways.” Making the Call to Action a win-win will greatly increase the chances of your readers acting. Ask a question – you can simply ask a question at the end of your post for readers to leave the answer in a comment. Ask what their best tips are, or their own experience of your topic. Truly, there are few things that are a bigger turn off than poor grammar and misspellings in a blog post. If you know you are not great at spelling, for instance, have someone else proof-read your post before you hit publish. Sometimes just a second set of eyes can pick up grammar incidents that you miss. Since many of us have been out of school for quite some time *ahem* a refresher course on a few common mistakes is always a good thing. Grammarly is an incredible free tool that can help ensure your grammar is correct in every post! Check it out here. Using the training you have learned so far, write a “perfect” post about your favorite blog experience you have had to date. This can be a new favorite product, an event you attended or maybe a great recipe you shared – whatever you want! Make sure to use proper post structure, grammar, and SEO. Then, share it over in the PartyPlanDivas Community!